It’s our first M43 Happy Hour in the veteran owned Bear Island Brewing’s new taproom! Come out to Innovate + Network + Connect with other veterans, military spouses, and our civilian supporters who all believe there is more to accomplish after the service. We set the conditions. You create the opportunities with those you meet! Big thanks to the Front Porch team at Keller Williams for sponsoring this month’s Happy Hour! They have been actively involved from the beginning of Mission43 and have been integral in making it a great community to be part. RSVP: Not necessary but feel free to drop a note below and let us know if you want to meet with anyone from the M43 team. We’ll make sure to get you connected at the Happy Hour! We’d love to talk about our upcoming Leadership Fellows Program, Boise Grand Slam Hike Series, and other events. Mission43 is hitting the hiking trails from April through August as we tackle the four peaks that make up the “Boise Grand Slam.” This includes Cervidae Peak, Kepros Mountain, Shaw Mountain, and Mt. Heinen, totaling 34 miles and more than 10,000 vertical feet. Upon completion of the Boise Grand Slam, we will culminate with a final hike to the summit of Idaho’s tallest peak, Mt. Borah (12,667 ft). These Mission43 supported hikes are limited in space...commit to making them all and sign-up today! Transportation will be provided to and from the trailhead. Saturday, April 20th - Cervidae Peak (just north of Lucky Peak). Announcing the inaugural cohort of Mission43 Leadership Fellows. We are committed to investing in the leadership skills of M43 members who seek increased self-awareness, personal and professional development, and those who are always on the path to be better versions of themselves. A cohort of 24 fellows will be selected to be part of this year-long journey of internal reflection and external action. Yes, I understand the commitment and investment made towards me being part of this fellowship. 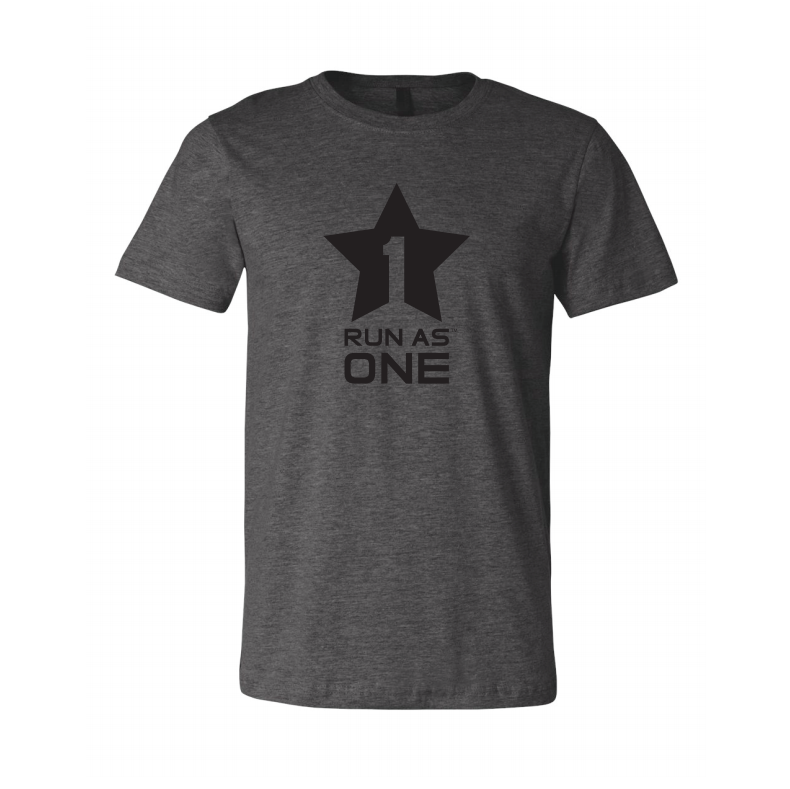 Team Rubicon has partnered again with Team RWB and The Mission Continues for their 8th annual Run As One. Thousands of veterans and supporters will united at RAO events across the United States to honor Marine Corps veteran Clay Hunt and demonstrate to the world how exercise, community, and inclusivity combine to combat mental health challenges. Join the Boise Team Rubicon chapter for the run followed by a small service project to do some maintenance and clean-up at the elementary school. Do you have a business idea you want to explore? 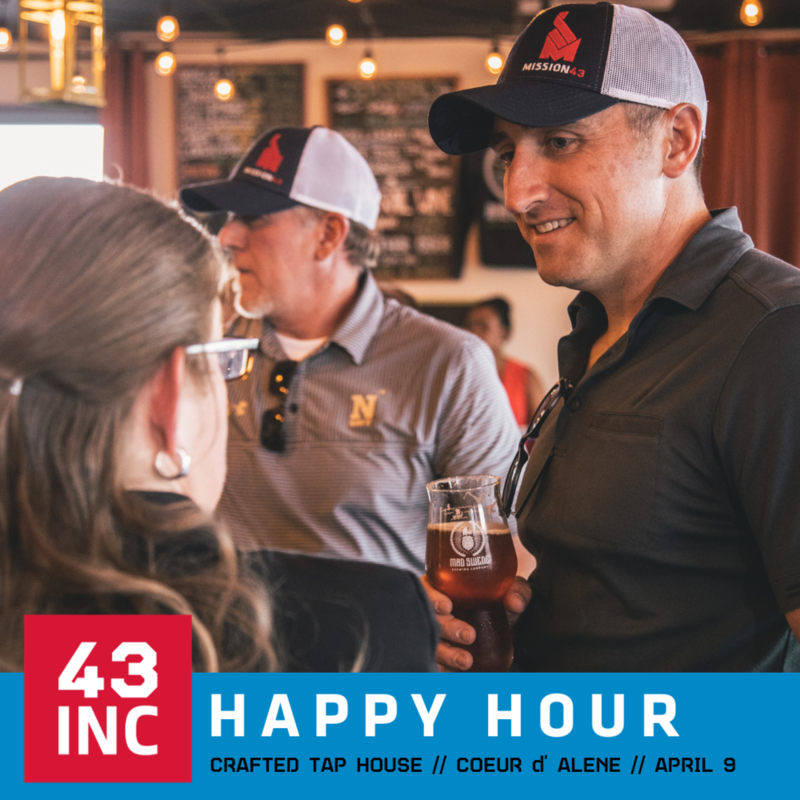 The 43INC Entrepreneurs Sprint is kicking off in north Idaho on Saturday, April 13th with an exclusive group of currently serving military, veterans, and military spouses. Mission43, in partnership with the University of Idaho Executive MBA Program, is bringing a one-day entrepreneur workshop to help you refine your business or non-profit idea and develop an actionable plan. A dynamic one-day workshop designed specifically for active duty military, military veterans, and veteran spouses. This workshop offers a practical guide to exploring and building entrepreneurial skills that you can use to accelerate your career or start your own business. The innovative curriculum provides a framework for applying the business model canvas to an idea or yourself. You will learn about business while building critical-thinking and entrepreneurial skills, such as writing a value proposition and pitching yourself or an idea. Learn more on the M43 Entrepreneurs Page. Workshops include “Keeping the End in Mind” with presenter Cortino Garcia, an independent financial and investment advisor and board member of the Idaho Hispanic Chamber of Commerce. Zion’s Bank has an incredible opportunity that is designed for military members transitioning into the civilian workforce. Their 12-week paid internship provides on-the-job training, banking work experience, positive networking opportunities, and personal growth. This is a fantastic way to connect with Idaho’s business community, and you never know, you might find your next career! The Idaho Hire Heroes USA team is aware of this opportunity and can help you through the application process. If you haven’t already registered with them, get started here. If you have, contact your Transition Specialist and let them know you are interested in applying for this internship so you can update your resume and look your best! 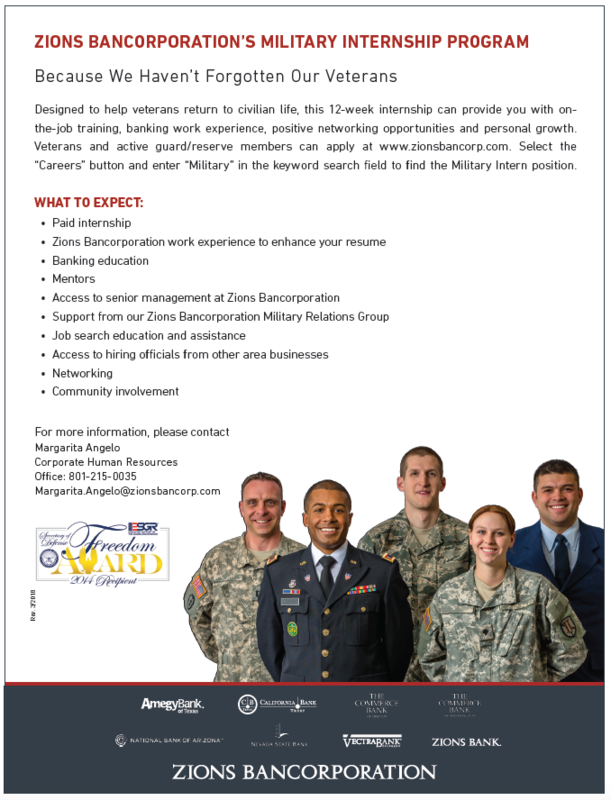 Veterans and Guard/Reserve members can apply at www.zionsbancorp.com. Select the “Careers” button and enter “Military” in the keyword search to find the Military Inter positions. This M43 Community Partner event is not run by Mission43. Please reach out directly to this organization with the information provided to learn more. Are you frustrated by a lack of customers or clients? Is marketing a mystery to you? Find out how to create a strategic marketing plan and implement low-cost or no-cost tactics for your business. The workshop, “Money Making Marketing™: How to Reach, Keep and Grow Your Customer Base”, is offered for informational purposes only, and should not be construed as legal or other professional advice. Consult with an attorney or other professional concerning your own needs and circumstances. The views and opinions expressed by the speaker are not necessarily those of Zions Bank®, its parent or affiliates. Zions Bank® is a division of Zions Bancorporation, N.A. Member FDIC. How do you know if the company you are considering an offer for has the best benefits possible? Have you been with a company for a long time and wondering how to ask for a raise? If a company makes an offer, do you have to take it? Join Hire Heroes USA for a webinar focused on salary and benefits negotiation. We will discuss when you have to accept an offer from a company and how to counter an offer on the table without losing the offer. We will also be discussing how to ask for a raise or promotion. A panel of HR Managers and Management level employees will discuss the timing and how to’s of salary negotiation. Join us! Bring the family and cruise around the mountain with some of our best M43 friends. It’s a great opportunity to get together as winter comes to a close. We'll have the Mission43 Basecamp set up on the 3rd floor of the Pioneer Lodge so you can stay warm and relax with food and drink. We'll also provide the lift tickets, lunch, and a voucher to try out the Glade Runner mountain coaster! 8:30am - 10:30am: Check-in tent opens (in front of Simplot Lodge) to get your lift ticket vouchers, Mountain Coaster vouchers, and M43 Basecamp access bracelets. The tent closes at 10:30am so you will have to arrive during this window...our volunteers get to ski too! 11:30am - 1:30pm: Lunch served…fajita bar!!! It might be somewhat tricky, so plan ahead. The upper lot at the Pioneer Lodge, where the M43 Basecamp is located, fills up early with the regular die-hard skiers and boarders, so it’s probably best to park in the main lot below and ride the Morningstar Lift up. If you are only planning on hanging out in the M43 Basecamp, then we recommend you try and get a spot early or get dropped off at the Pioneer Lodge lot. The Mission43 pop-up tent will be located in front of the Simplot Lodge where you would normally purchase your lift tickets. This is where you will get a lift ticket voucher, rental voucher, mountain coaster pass, and bracelet for Basecamp access. We'll shut down check-in at 10:30 so our volunteers have the opportunity to enjoy the mountain too. Located on the 3rd floor of the Pioneer Lodge, this is where you can come and go throughout the day. It’s also a great chance to meet the Mission43 leadership team so you can learn more about opportunities to get involved or different programs the pillars offer that you can benefit from. Lunch (11:30am - 1:30pm) will be a Fajita Bar served in the Basecamp. Drink: Wine, beer, and soda is available at our hosted bar. We’ll provide a voucher at check-in for the 4,330 ft mountain coaster that climbs as high as 40-feet in the air and can hit 25 mph. (Totally optional!) The coaster is open from 11:00am - 4:30pm. If you need skis or a snowboard we will provide a rental voucher when you check-in on Saturday morning. The line can get long in the rental shop so try and get there early. Inside Secrets to Funding Your Business™ Find out how to get the financing you need to launch or expand your business. This workshop offers indepth discussion and review of how to obtain funds for acquisitions, start-up, expansion and working capital. Strong emphasis placed on financial statement analysis, projections, cash flow, and successfully presenting your request to a lender. You are invited to the Business Pitch Event featuring the veterans and military spouses of the 7th cohort of the Mission43 Entrepreneurs Garage course. This is the culmination of 6 weeks of applying the Lean Startup Methodology to their ideas and working towards achieving and sustaining revenue as a viable business. Each business pitch is 4 minutes and Venture College mentors from the Idaho business community will be in the audience providing feedback and advice. Please join in on this part of their journey to entrepreneurship. Transitioning military members, veterans and military spouses: Are you interested in Federal Employment, don’t understand the lengthy resume requirements, and don't know where to begin? 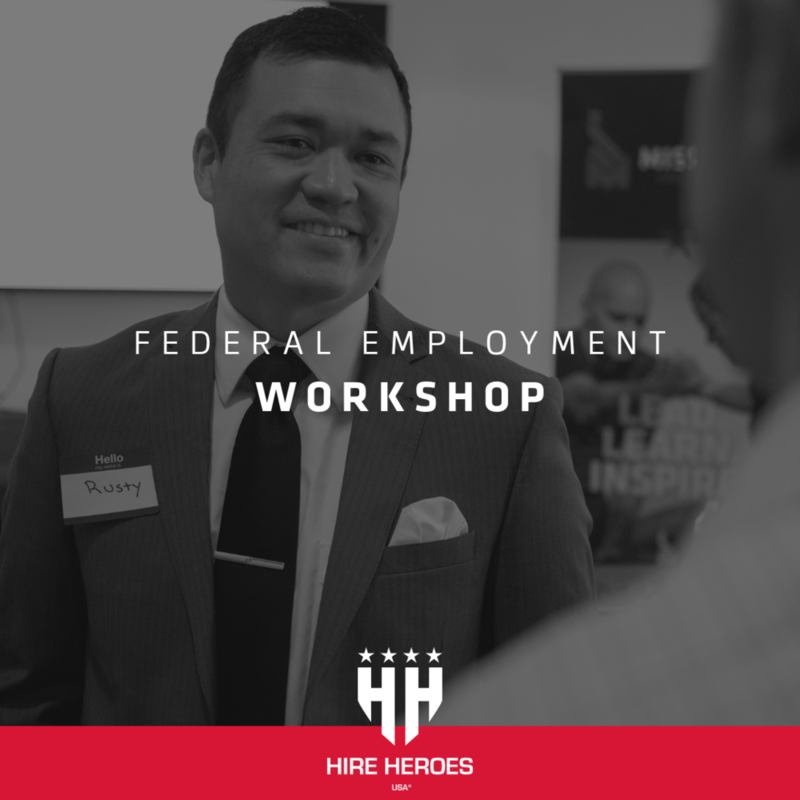 Virtually join the Hire Heroes USA Federal Employment team for expert instruction that covers content on navigating the federal sector and federal resume writing. Also keep an eye out for our local Hire Heroes USA Federal Workshop in Boise on April 17-18th. This month we are fortunate enough to take part in Kegs 4 Kause at Payette Brewing. Starting at 5:00pm, 50% of all proceeds from beer sales will be donated to Hire Heroes USA, the employment pillar of Mission43. 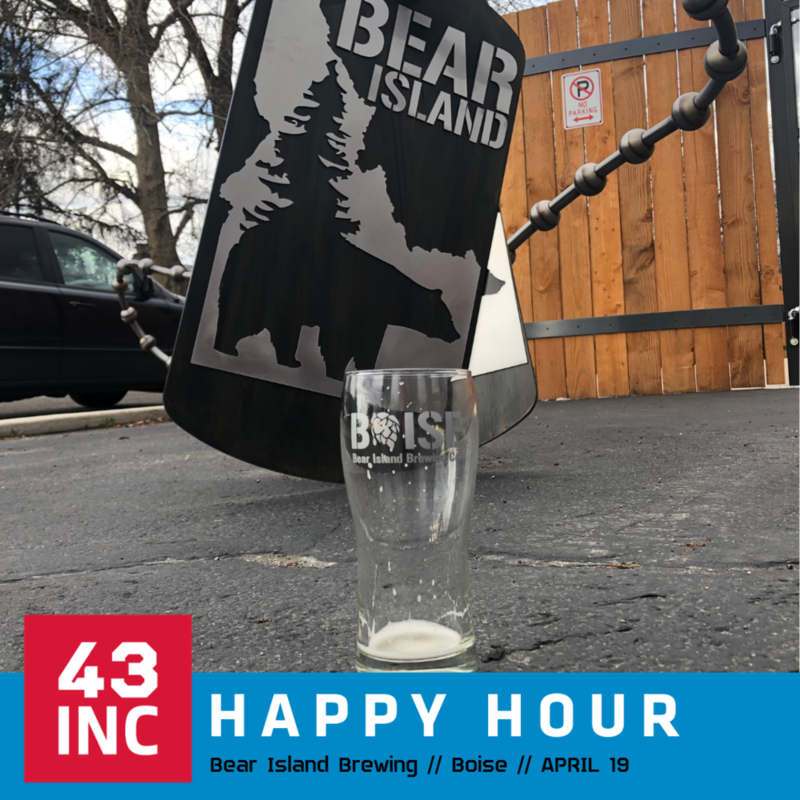 Your pint will provide the resources necessary to help Idaho veterans and military spouses successfully secure employment! Come out to Innovate + Network + Connect with other veterans, military spouses, and our civilian supporters who all believe there is more to accomplish after the service. We set the conditions by finding a great place to enjoy an evening; it's up to you to create opportunities with those you meet! Thanks Payette Brewing! Learn more about Kegs 4 Kause here. Credit Matters: Know Your Score and More. Your credit score can affect what interest rates you are offered on loans, if you will be considered for certain jobs or even if you qualify for the best auto insurance rates. So how do you build and manage credit? This topic isn’t usually taught in schools or discussed at the family dinner table, leaving most of us to try to figure things out on our own. We hope we’ll get it right. The workshop, “Credit Matters: Know Your Score and More”, is offered for informational purposes only, and should not be construed as legal or other professional advice. Consult with an attorney or other professional concerning your own needs and circumstances. The views and opinions expressed by the speaker are not necessarily those of Zions Bank®, its parent or affiliates. Zions Bank® is a division of Zions Bancorporation, N.A. Member FDIC. Refine your business or non-profit idea and develop an actionable plan in the 43INC Entrepreneurs Garage. Our 5th cohort is kicking off on February 11th with an exclusive group of Mission43 veterans, currently serving military, and military spouses. Through our partnership with the Boise State University Venture College, Mission43 members are automatically awarded a $1000 course scholarship. Throughout 10-sessions, you'll go under the hood of your business (or non-profit idea) using the Lean Startup Methodology. You will grow as a cohort, share ideas, and learn from each other with the goal of moving you towards achieving and sustaining revenue as a viable business. At the end of the course, you'll have the opportunity to pitch your idea to local business leaders, Venture College mentors, and potential investors in a Shark Tank style format. Learn more on the 43INC Entrepreneurs Page. Thank you, we have received your registration. Brian Von Herbulis will be in touch shortly with more details. We look forward to having you be part of the next cohort of Mission43 Entrepreneurs! We invite you to join us for our next 43INC with a guest who embodies excellence in the face of adversity. Oscar “Oz” Sanchez is a veteran of the U.S. Marine Corps who’s life changed forever in 2001 when he was involved in a hit-and-run motorcycle accident. The accident resulted in a spinal cord injury (SCI) and the inevitable paralysis and associated neurological complications. After the accident, Oz’s biggest fear was being defined by his injury. As a result, he developed a new sense of direction and vigor for life. He pulled out of his post-injury depression and once again took a proactive approach to living by dedicating himself to education and hand cycling. Oz is a graduate of San Diego State University with a business degree and a minor in public communications and is currently pursuing a masters degree while training for the 2020 Paralympics. Now, we have the opportunity to sit down with Oz and hear his inspirational story. We'll be at the Olympic Venue in Boise with food, drink, and a chance to connect with others involved with the M43 community. RSVP today! Transitioning military members, veterans, and military spouses: Are you interested in finding civilian employment? The Hire Heroes USA Employment Workshop has gone virtual! Through an interactive learning platform, Hire Heroes USA is preparing transitioning military members, veterans, and military spouses for their civilian job search. Attendees will receive resume writing guidance, learn how to leverage their personal networks to achieve employment goals, and effective and proven interview techniques from a live facilitator. 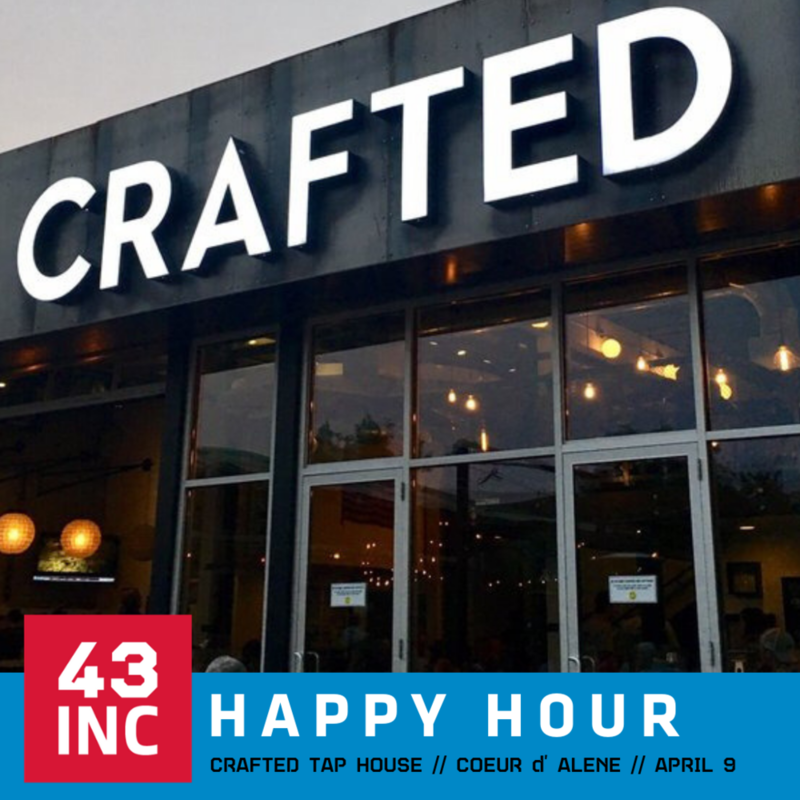 We are excited to have our first 2019 Boise area 43INC Happy Happy Hour at Telaya Wine Co. They have been incredibly generous in supporting Idaho’s military community through #Sip2Give, and we are thankful to be part of it again this year. During #Sip2Give on February 1st, 10% of all wine sales will be donated to Hire Heroes USA, Mission43's employment pillar. We’ll be there from 5:00pm -7:30pm. Swing by to connect with the M43 community and meet with the leadership of the M43 pillars to find out more about what they do and how they can help. 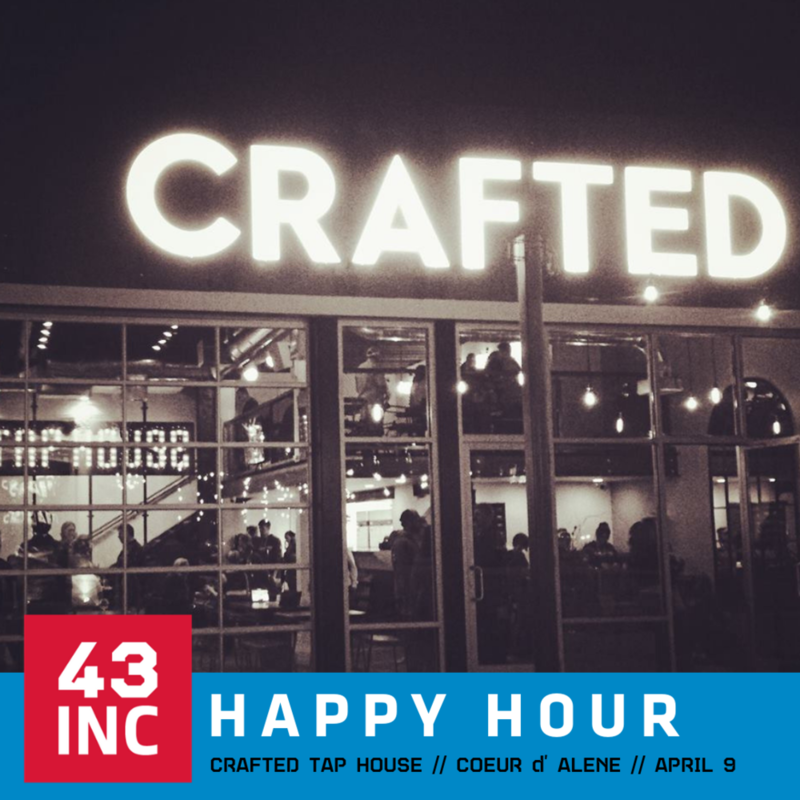 What is a 43INC Happy Hour? It’s a place to Innovate + Network + Connect with other veterans, military spouses, and our civilian supporters who all believe there is more to accomplish after the service. We'll set the conditions by finding a great place to enjoy an evening; it's up to you to create opportunities with those you meet! No RSVP necessary, but feel free to drop us a note below and let us know you are coming! 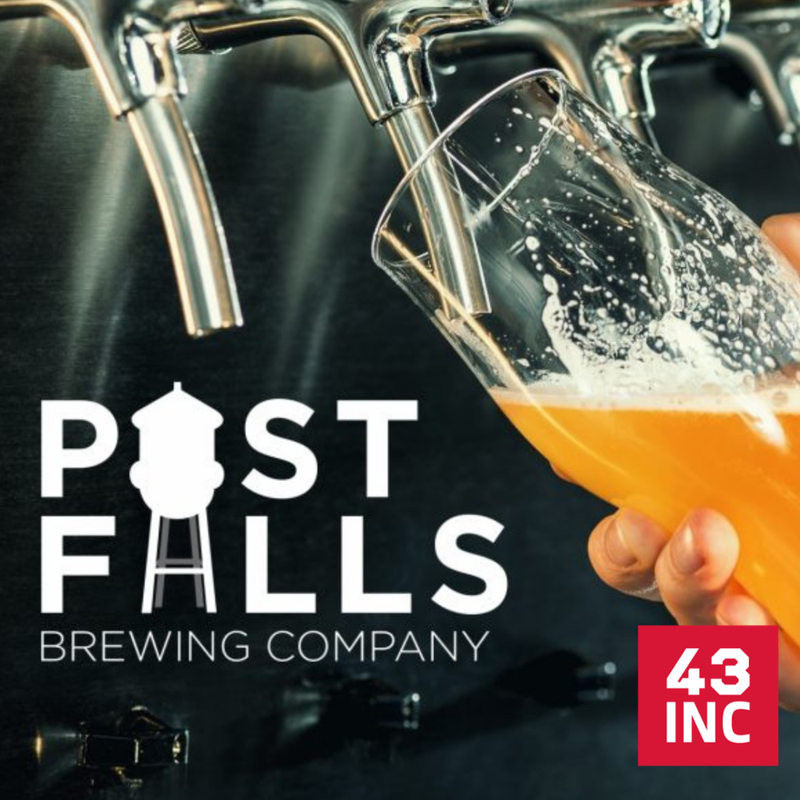 Help us close out the 2019 kick-off tour for 43INC at Post Falls Brewing. Meet the new North Idaho Regional Coordinator, Stephen Tamm, and the leadership from 43INC, Hire Heroes USA, and Team Rubicon. It’s a great opportunity to learn more about what M43 can do for you. From the Zions Bank BRC: FranNet and the Boise SBDC (Small Business Development Center) join your Zions Bank BRC to break down the realities and opportunities in business/franchise ownership and financing. You’ll also hear from local franchise owners about their experiences. Guest presenter Emily Anderson is an entrepreneur and franchise specialist with FranNet. FranNet provides no-cost guidance, information and support to individuals who are interested in purchasing a franchised business. Through face-to-face meetings, FranNet helps people discover options and make sure that the options match up with the needs of the marketplace and the unique strategy, goals, and needs of the individual. The Boise Small Business Development Center (SBDC) is located on the campus of Boise State University and provides training events, no-cost business coaching and access to resources to help small businesses grow and succeed. Time: Note Special Time: 1:30 p.m. to 3:30 p.m. The workshop, “Road Map to Entrepreneurship: Build, Buy or Franchise”, is offered for informational purposes only, and should not be construed as legal or other professional advice. Consult with an attorney or other professional concerning your own needs and circumstances. The views and opinions expressed by the speaker are not necessarily those of Zions Bank®, its parent or affiliates. Zions Bank is a division of ZB, N.A. Member FDIC.